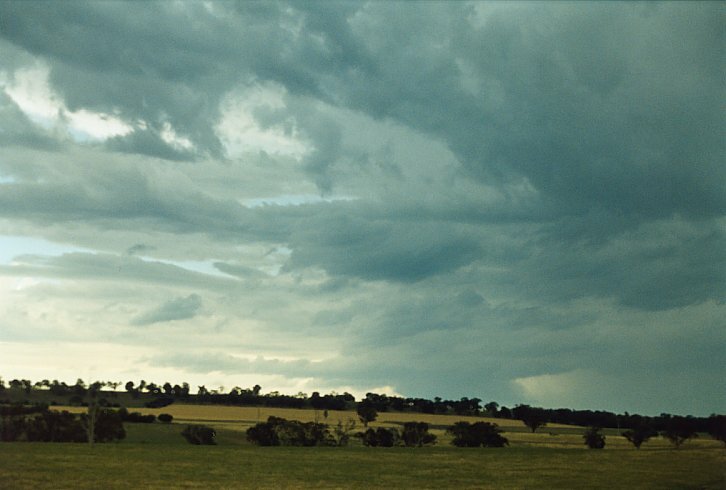 With an upper trough expected to affect central NSW on this day, moisture advection and moderate to high wind shear profile were sufficient for supercell thunderstorms. There was a lot of energy with high dew points and warm conditions anticipated with models reflecting CAPEs about 2500. It was to be a long day picking up Ray and Harley during the morning and heading out to the target of Orange. With the Hunter Region recovering from an overnight storm complex, it made for an excellent set up west of the divide in clearer air. This overnight complex though during the morning may have been weakening but Sydney was experiencing sporadic lightning in the form of anvil crawlers and cloud to ground lightning activity. Heading over the ranges, we finally were in clearer air but storms were already firing in the unstable air mass. 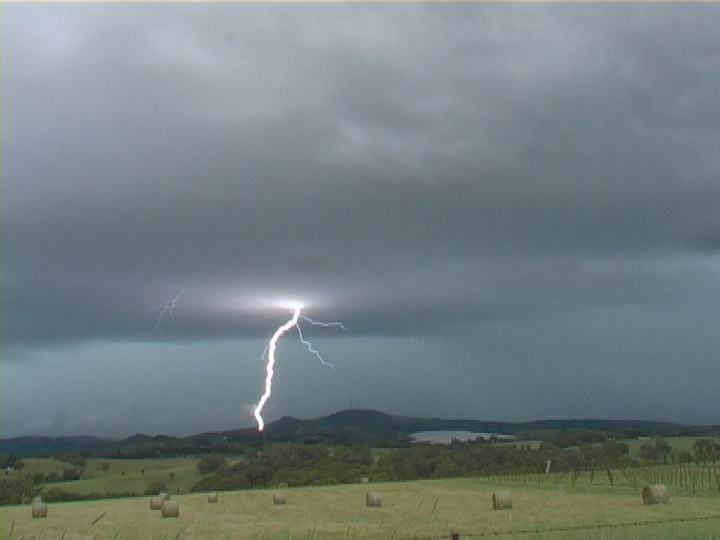 I soon received the first warning call from David Croan that a Severe Thunderstorm Advice centred on the regions of the western Central Tablelands had already been issued. A storm was already active and rapidly approaching us with the intercept at Orange. 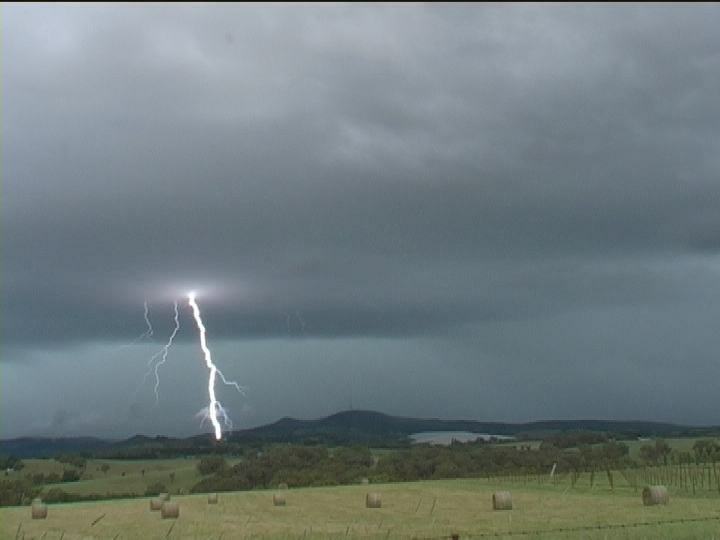 The first storm band was embedded in rain but the main storm approaching Orange was experiencing inflow ­ a good sign for severe storms to remain organised. But this storm was large and quickly sent up powerful pulses that merged into the side anvils. And what anticipation! The adrenalin rush! Fear of the erratic lightning. 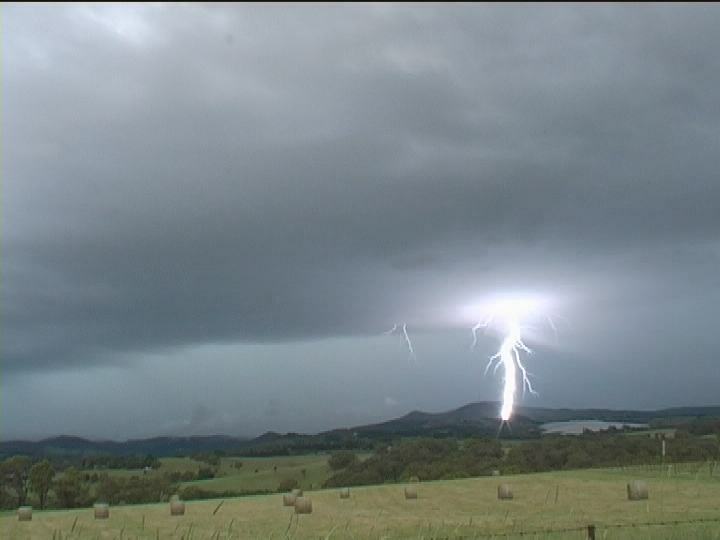 Lightning was bolting in the hills but the occasional bolt nearby. A shelf cloud appeared in the distance part of the main core of this storm line. Then suddenly Harley noticed that bolts were appearing in a core to the southwest. This gradually spread towards the tops of Mt Canobolis. 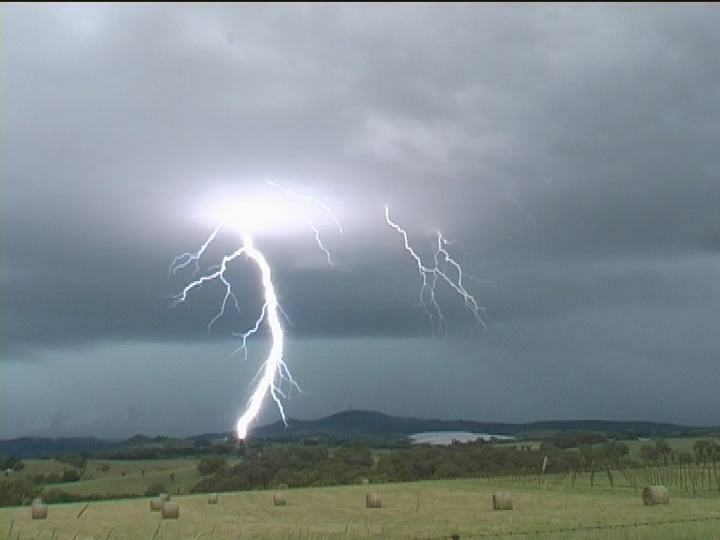 What we experienced with the camera mounted on a tripod aimed at the mount was a fierce display of powerful and frequent multiple bolts. I was almost in disbelief at the amount of energy being dispersed by these bolts!! Thick bolts with consistent behaviour beginning with staccato bolts ­ followed by long pulses lasting 1 or two seconds - a display of power. A few bolts Harley noted had struck the tower on top of Mt Canobolis. Ray was in his element watching from the safety of the vehicle. This was one of the most powerful displays of lightning activity and certainly broke the lightning drought of the summer thus far. After being alerted to a closer lightning bolt by Harley, we sheltered in the vehicle. Heading back to Orange and northwest, the shelf cloud overtook us moving into difficult terrain. So after a brief chase in this region, we settled for an observation and watched the storm with interesting base features and wrap around precipitation core disappear. Next - lunch at Molong enjoying a view of the next developing activity. And what emerged were rapidly developing and organising severe storms. Heading north of Molong, we observed an interesting base that soon was confirmed as a wall cloud. Excellent inflow to this right mover with inflow characteristics ­ umm this means there was a left mover. So after some photography and video opportunities, we zoomed towards Wellington. And this is where the interesting base of the left mover was to be. It was but was shadowed by rainfall. 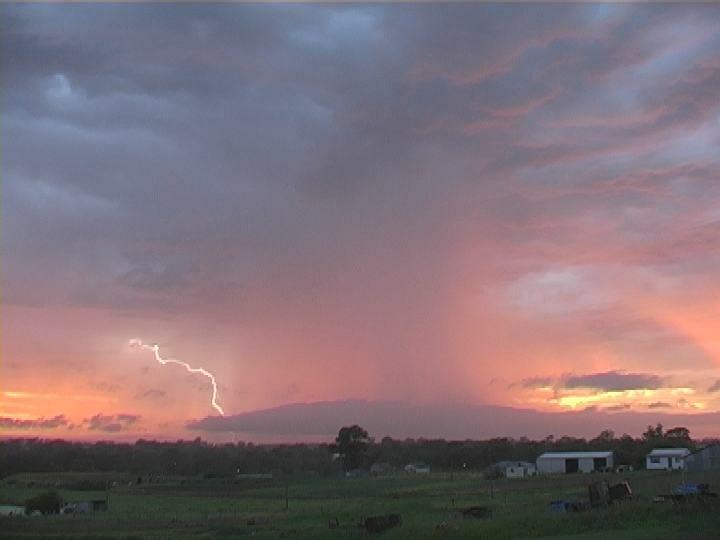 The main storm was confirmed heading rapidly east of Dubbo. We were in the hail shower and tried to remain behind to finally meet up with Mick, David and Brett. This was the downfall unfortunately ­ end of the chase. Incidentally this storm did produce giant hail to 6.6cm about 25 kilometres south of Dubbo. We were not that far off but simply not close enough and quick enough to get that beast. Despite another set of extensive anvil plumes, the storms split and decayed. 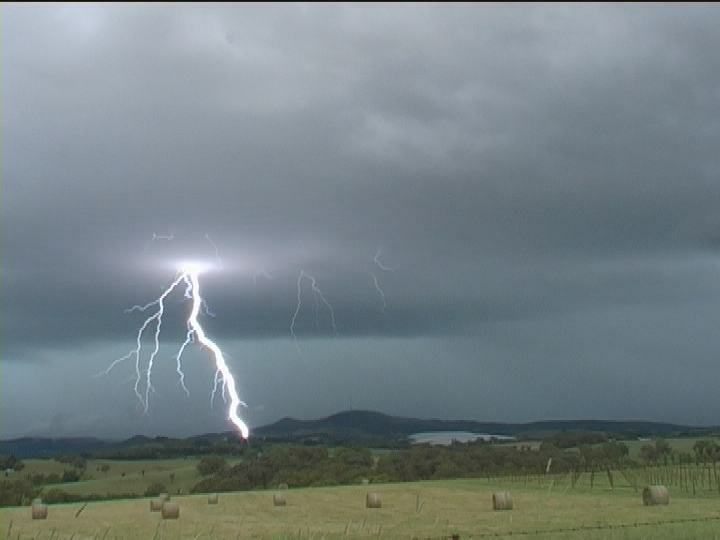 Frequent lightning did occur but these storms passed over impossible chasing terrain and a poor road network. With our destination Sydney, we observed an interesting storm to the southeast that brilliantly reflected the setting sun illuminating its spectacular mammatus. There is nothing like a chase with storms on the return journey ­ a complete chase.